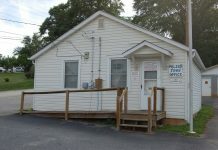 During their meeting Friday, Pelzer Town Council entertained a proposal to buy property located on the river and agreed to begin accepting credit card payments. At the start of the meeting, Cheryl Boudreau was sworn in to her seat on council and councilmember Donna Ide was elected Mayor Pro Tem. Town Administrator Skip Watkins told council he was compiling a package of documents related to a cell tower proposal made by a representative of Tri Star at the June meeting. Watkins said the town is in the fourth period of five of a 25 year contract with the current tower company. The issue was tabled to the next meeting. Council agreed to a trial offer with a company to provide services to accept credit/debit card payments from customers. 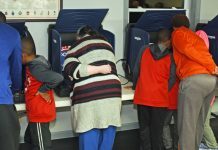 Watkins said the necessary software can be installed on the town office desktops and will be convenience for customers. He said the town can charge a small convenience fee to offset transaction costs associated with plastic payments. Watkins said the town has been getting more requests and occasionally phone calls from water/sewer customers wanting to pay by card. Due to poor condition and lack of funds for improvements, Council decided to close the tennis courts at the Pelzer ballfields until further notice. Town officials said there was little use of the facility and there was no funds for repaving the surface. The area is used frequently for basketball. Council is looking at a draft contract with REWA in anticipation of the sewer system going online with REWA in December. The contract will be discussed at a future meeting. Watkins said with council approval he will draw up a resolution allowing either him or Mayor Steve McGregor authorization to sign the contract. Mayor McGregor announced that the Pelzer Pool had been closed several days due to low use and thunderstorms. McGregor said that lifeguard costs and other factors resulted in the pool being closed. The pool has been closed four days so far this summer. Watkins told council that town attorney Jimmy King will be retiring, however the King Law Firm will continue to represent the town. The change will result in a minor change in billing. 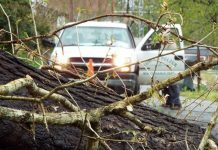 Representatives of Pelzer United Methodist Church asked town officials for help and advice on a flooding problem at the church. The church basement has flooded three or four times since the town sewer project and paving at the old Pelzer school has taken place, they said. Church members have been working with School District One maintenance persons to determine if the flooding is coming from the adjacent parking lot or if there is another cause. There was concern that drain line may have been stopped up or disconnected from the sewer system during the upgrade last year. Watkins said that runoff and/or drainage lines are not allowed to go into the sewer system. Both town and church officials said they were unsure about the drainage and that old lines may have been connected to the old system, but were unsure. Watkins suggested the church have a civil engineer look at the line to determine the problem. Louis Shirley, of Adger St. asked the town to consider selling a small piece of property located on the river to him. Shirley has been leasing the property and has made improvements including a picnic table, shelter, horseshoe pit and trash cans. He has also been maintaining and cleaning up trash. He said it is becoming increasingly hard to monitor the area and would like to place a fence around it. The property is located near the lower boat ramp. Council went into executive session to discuss the proposal and upon returning to regular session, voted to table it to the next meeting.